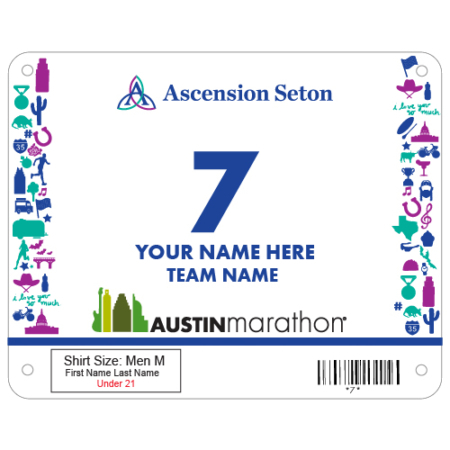 The first step to starting the 2019 Ascension Seton Austin Marathon is picking up your race packet. 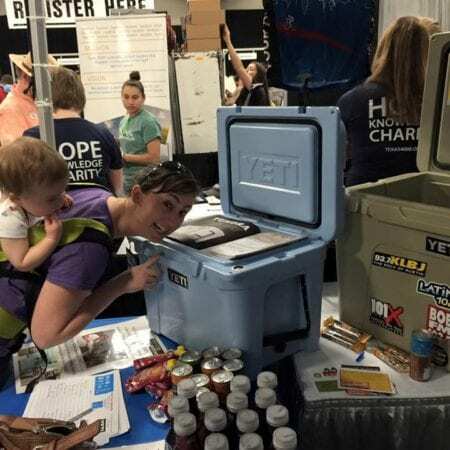 The 2019 Marathon Health & Fitness Expo will have more than 100 vendors selling all sorts of runners’ goodies. While you’re there, get important race info and tips from speakers, shop the vendors and more. Be green and bring your own reusable shopping bag! The Austin Marathon Health & Fitness Expo will be held Friday and Saturday at Palmer Event Center at 900 Barton Spring Rd. Each participant must pick up their own packet. Have your bib number and your ID ready. Go to the kiosk with the number range of your bib number. Next, line up in the t-shirt line for the size that is listed on your bib. You will present your bib to the volunteer and they will give you your shirt. Marathon and Half Marathon participants will then pick up their 2019 commemorative bags. Exit into the expo and check out what our awesome vendors have to offer! 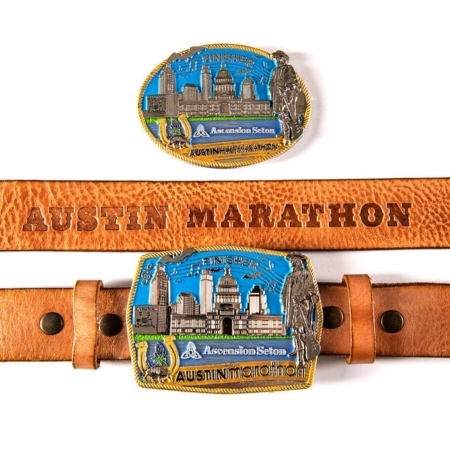 Packet Pick Up is for all events – Austin Marathon, Half Marathon, and 5K. All participants must pick up their own packet at the expo. Packets include gear check bag, bib and timing device, and safety pins. Please have your ID ready to pick up your packet. The clear plastic bag you receive at packet pick-up must be used for your gear check bag. We will not accept any other bags. You will be given the shirt size that you request upon registration. All t-shirt size exchanges will not be allowed until after the event. 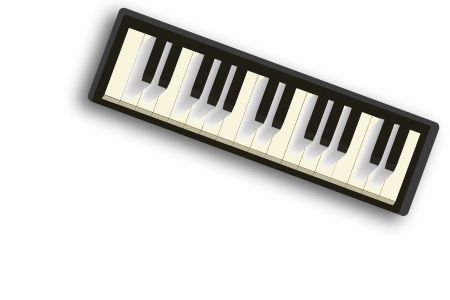 Durable and easy to carry. Perfect for quick trips to gym or change of running clothes and shoes. 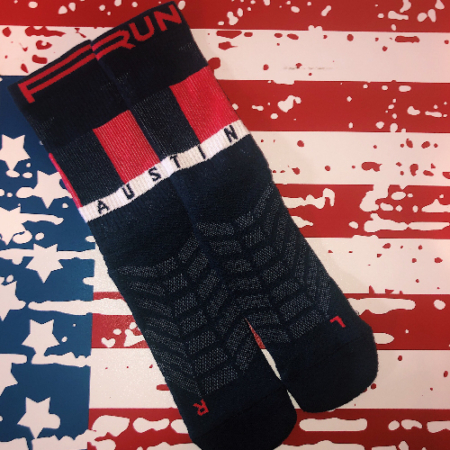 Marathon Participants will receive these limited edition Run Austin Under Armour Socks. This bib number is unique to you and includes your timing chip. Do not allow another person to race with your bib – it can get you and them banned from running events. Please see our transfer and deferral policy if you cannot use your bib. Make sure your bib is not covered by any clothing or race belt on race day. Covering your bib can cause you to have inaccurate or no timed results. 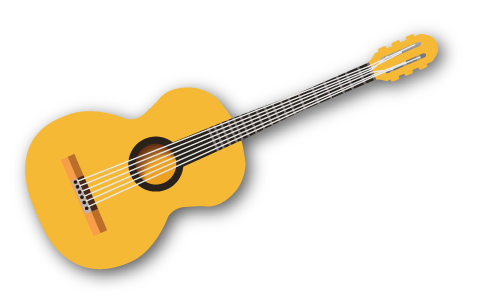 Help us be Green! Save and bag and only use gear check if you need to. There will be bags available at the Gear Bag tent located at 7th and Congress in the morning. This is the only bag that will be accepted into gear check. Please don’t leave anything valuable in your bag as we cannot take responsibility for any lost items. You can use safety pins or a race belt to attach your bib number. Make sure that your bib number is visible on the front so that you can get your photos after the event. LeafFilter North of Texas, LLC. We are very excited to offer the opportunity for you to showcase your business to our athletes. 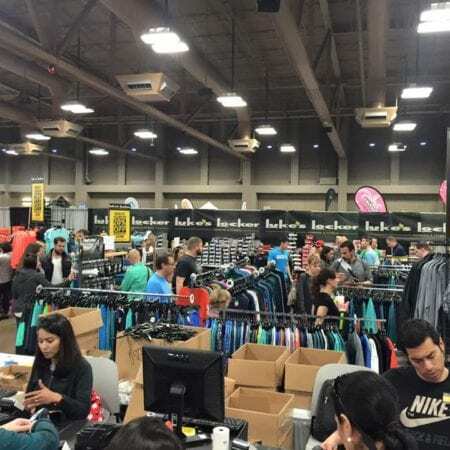 With 17,000 participants expected to register for the race, the Austin Marathon and Half Marathon Health & Fitness Expo is a perfect way to reach the endurance market you are targeting.